Um, did somebody say weight loss? 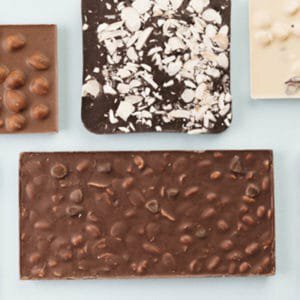 We’re nutty over the health benefits of these awesome snacks. Besides good fat and protein, all nuts offer their own specific nutrient combination and some have extra-special healing properties. Nuts can boost your health, help you lose weight and get your skin glowing. Something you might not have known is that almonds contain phosphorus. This helps maintain and build the strength and durability of bones and teeth and helps prevent conditions like osteoporosis. A study in college students from Andrews University in the US found that eating walnuts increased a measure of cognition called inferential reasoning, suggesting that walnuts may have beneficial effects on the brain. Whoop! Have some of those before your next brainstorm sesh. They’re also really great for your heart health, including helping to lower blood pressure and improve the blood flow through the circulatory system, per a study from Yale University School of Medicine. Because walnuts are high in fibre as well as protein, they actually help you feel fuller for longer, so they’re a great snacking option for vegans and those trying to lose weight. Besides their ability to become extra-creamy nut butter, cashews lower blood pressure: one study from North-West University in Potchefstroom found that a diet containing 20 percent of your kilojoule intake from cashews improved blood pressure in people with metabolic syndrome. Another study from the same South African university revealed that inclusion of walnuts and cashew nuts into a prudent diet resulted in an increased antioxidant capacity. So you can get more of those cancer-fighting benefits. Did you know that high levels of fatty acids and protein combined can help the nervous system combat depression? That’s basically all nuts! Brazil nuts are an incredibly rich source of selenium: a mineral that acts as an antioxidant but also plays other crucial roles in body functioning… Such as proper sperm motility. Selenium also helps increase blood flow, so make sure your man is getting his handful of Brazil nuts a day, which more than meets the daily required intake of selenium. Selenium also helps to keep your kidneys healthy and boosts your immunity and thyroid functioning. Having a handful of nuts a day also helps reduce bad cholesterol (LDL) and increases your good cholesterol (HDL), say results from the Clinical Nutrition and Risk Factor Modification Center in Canada. Macadamias are 100 percent cholesterol-free! They are also full of flavanoids, which turn into antioxidants when we consume them, helping us fight cell damage. And lower blood pressure. And just like almonds, they’re great inflammation fighters. 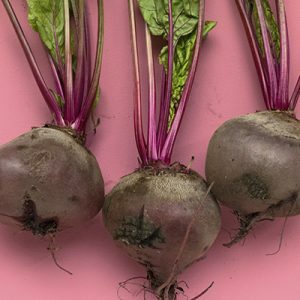 All of this makes them an excellent heart-health boosting food. Packed with manganese – which also supports bone health btw – pecans can actually help ease PMS symptoms. Manganese has been shown to reduce mood swings and cramps, especially when combined with calcium (to aid absorption). Pecans also contain polyphenols, which act as antioxidants. One study showed that people who ate pecans for four weeks as 20 percent of their daily kilojoule intake showed an improved antioxidant profile in their blood. Boom! 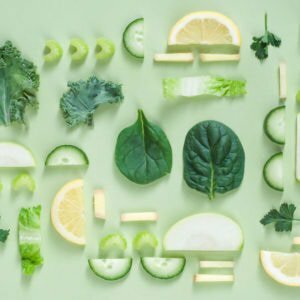 That’s a serious cancer-fighting food! Numerous studies have shown that hazelnuts can increase the amount of vitamin E in your blood. 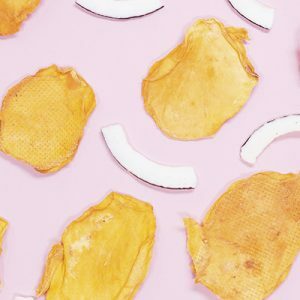 It’s the key vitamin for healthy skin, hair and nails! 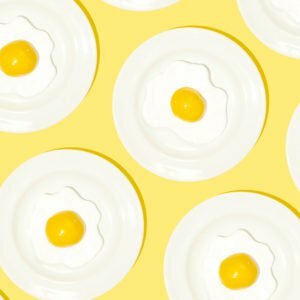 Something you didn’t know about vitamin E? It’s been linked to less cognitive decline as we age and it may help prevent and treat diseases like dementia and Alzheimer’s. While we’re on the noggin, hazelnuts also contain thiamine, which plays a crucial role in nerve function and cognitive function. In a recent study published in Nutritional Neuroscience, hazelnuts were tested for their neuroprotective qualities. When provided as a dietary supplement, hazelnuts were able to improve healthy ageing, improve memory and hinder anxiety. Sign us up! They also contain folate, which helps spine and brain development of your baby during pregnancy. Want to jump on the wagon? AllForNuts.co.za offers monthly nut drops countrywide. 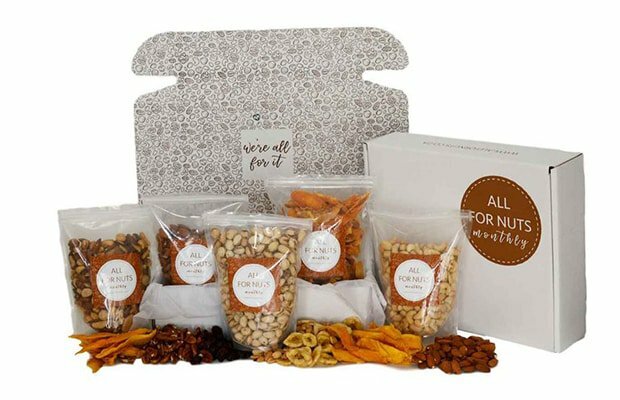 You can select the size of nut hamper and it gets delivered to your home or office each month so you don’t miss out on any of the awesome nutrients mentioned above.